One of the earliest flowering native trees in the Hudson Valley. 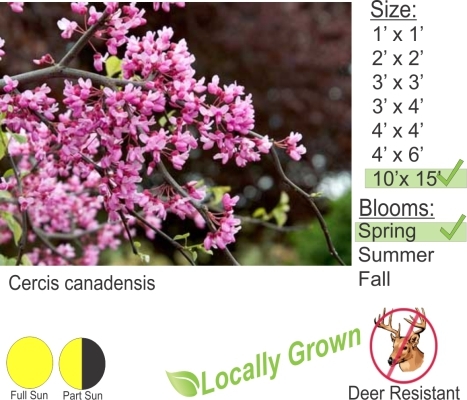 Red Bud is a small growing tree that works well in full sun or shade conditions. Typically you will find this tree mixed into the wood line of a forest. Autumn color is typically yellow. There are varieties that feature maroon foliage throughout the growing season.